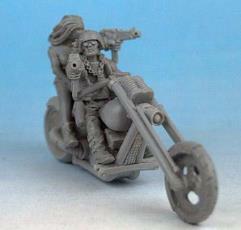 Bad boy biker on his chopper with babe on the back! This figure is supplied in metal (not resin) and comes in 8 pieces. It is not recommended for beginners as it requires assembly and some filling.